Midwest Infotech is an expert in providing quality Software Solutions and Services across a broad spectrum of Technologies and Industries worldwide. With growing Online Marketplace, buying and selling of products through E-Commerce is the most recent trend. Our extensive experience in E-commerce solutions will help you take a leap forward in your business. Whether you offer a specific product, specific service or multiple products and services, Ease Online Marketplace (EOM) can cater to overcome the challenges with the right tools and unrivaled support, as we have for many of the biggest names in E-Commerce industry. We design and develop a user friendly, efficient and cost effective E-Commerce Website/portal where users can buy or sell across a variety of products online. 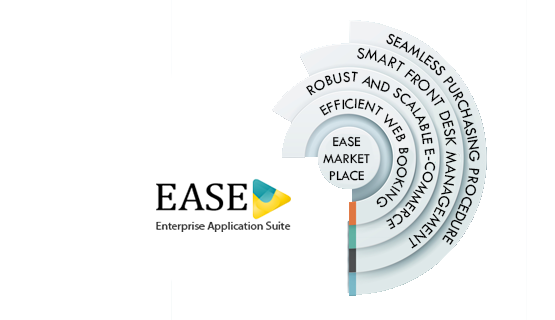 Ease Online Marketplace is to create, Manage and maintain their own online stores.it can be integrated into a small store to an entire online shopping center.